Welcome to the home of the most affordable airport shuttle and transportation service in Crofton Maryland. Our deep involvement in the community has earned us the nickname "Save-A-Lot-Transport". Your satisfaction and safety is our ultimate goal. As such, all our drivers are carefully screened and tested before we assign them to pick you up. The vehicles in our fleet are late model cars and regularly serviced to ensure a smooth ride every single time. If you need a ride to/from BWI, Dulles, Reagan or Philadelphia Airports, don't hesitate to make an online reservation on this secured site today, or call our customer service specialists at 410-975-8200 to customize your trip now. We also offer hourly car service in Crofton Maryland for individuals, business folks, families and friends who want to go on a night out for a few hours at a fraction of what it will cost for an average limo service. Our sedans are clean, prompt, safe, and our dedicated professional drivers are standing by to drive you anywhere in the Baltimore/Washington metro areas. 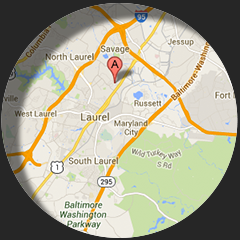 Other service areas on our map include Baltimore Penn Station and Bus terminal, Ravens Stadium, BWI Train, Baltimore Cruise ship terminal and out-of-state long distance transportation. So feel free to make an online reservation now or call to arrange your car today. Enjoy the ride and see you on the road.